Tonight we met at Guest Projects, Shonibare Studio to get an impression of the space, facilities and looking at what the current residency has up. 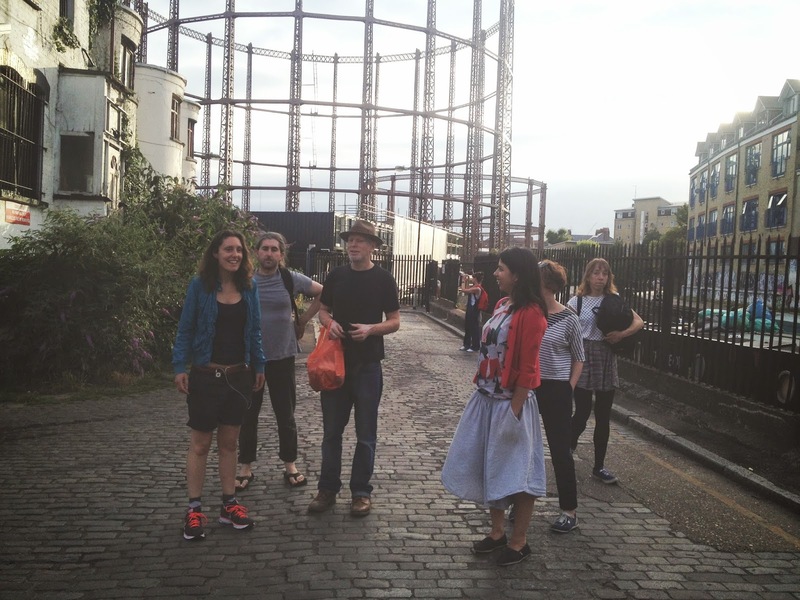 We walked the area around and continued generating ideas and planning for guest projects. 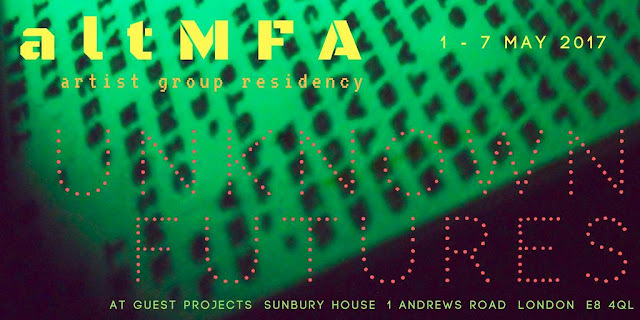 Also we discussed our altMFA tour at this year's Art Licks weekend which - hurrah - we have been confirmed to do. So lots and lots to plan ahead to make it great!